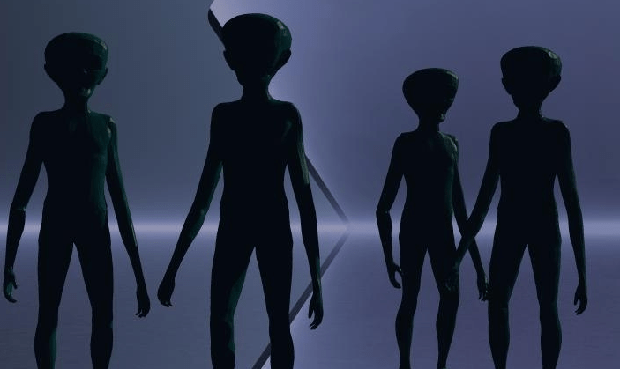 UFOs – Freedom For Humanity! A wry smile was what Dr Steven Greer gave when told he was being interviewed on World UFO Day on July 2. From his home in Virginia, Greer said that two things are going on. One is the silly seasons of the UFO subject, and the other one are the critical operations that are going on. He said that the silly stuff gets more attention because it is silly. Posted on March 15, 2019 by TheLightHasWonPosted in UFOsTagged Full Disclosure Now, Secret space force, Secret Space Program, Space force, UFO subject. Posted on January 23, 2019 by TheLightHasWonPosted in Technology, UFOsTagged Advanced technologies, Corey Goode, Disclosure, propulsion technologies, Science, Technology, UFO, Warp Drive, Wormhole Travel, wormholes. This past week has seen three separate mainstream news reports on the sighting of what may be top-secret US craft from the US military’s ‘black budget’ programs. These programs have recently come under intense scrutiny as over $21 Trillion have gone missing from the US budget as reported by Laurence Kotlikoff, Economics Professor, in Forbes. Black budget programs are so highly classified that even the US President, who is also Commander-in-Chief of the US Army and Navy, does not have clearance to access the programs. 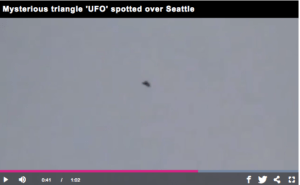 In baffling footage taken above Seattle, Washington, a craft appears to hover in the air. It seems to remain completely still and has a clear triangular shape. 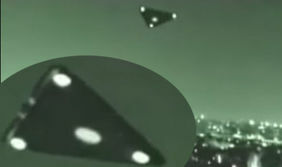 The video was captioned: “Triangle UFO or TR-3B filmed in Seattle,” and fans were quick to voice their thoughts. “Looks like a military jet,” one wrote. 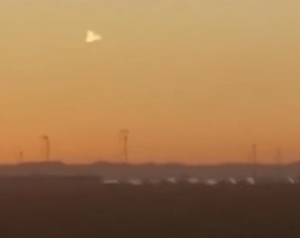 Incredible footage has captured a bizarre “triangle UFO” flying across the El Paso sky in Texas this week. Online viewers speculated that the aircraft, which has left many baffled, was a TR-3B aircraft, which is part of a “black government project”. Several sightings of “black project” aircrafts have been recorded close to military testing areas, such as Edwards Air Force Base in California, and United States Air Force Plant 42. 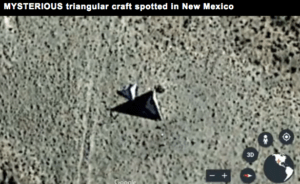 Posted on October 7, 2018 by TheLightHasWonPosted in Disclosure, UFOsTagged $21 Trillion missing, Black budget programs, Budget, Disclosure, Economy, Mars, Moon, Secret News, top-secret US craft, Top-secret US technology, TR-3B, Triangle UFO, UFO Technology, US budget, US military’s black budget programs. Posted on September 12, 2018 by TheLightHasWonPosted in Science - Vetenskap, Technology, UFOsTagged Advanced technologies, Advanced Technology, Corey Goode, Dark Energy, Disclosure, Dr Michael Salla, Manipulation of Extra Dimensions, Negative energy, Science, Space, Space News, Space travel technology, StarGates, Technology, Traversable Wormholes, Warp Drive, warp drives, Whistleblower, wormholes. Posted on June 20, 2018 by TheLightHasWonPosted in Avslöjanden, Disclosure, Technology, UFOsTagged Alternative News, Antigravity craft, Deep Space Programs, Deep State secrecy, FullDisclosureNow, Military-industrial Complex, National Space Council, Photos, President Trump, Secret Space Programs, Secrets, Space Craft, Space policy, Space programs, Technologies, UFOs, US Space Force, USAF. Posted on May 26, 2018 May 26, 2018 by TheLightHasWonPosted in UFOsTagged Mainstream Media, Paul Hellyer, UFO Disclosure, UFO News, UFO Phenomenon, UFOs, Unidentified flying objects. Posted on April 15, 2018 April 15, 2018 by TheLightHasWonPosted in UFOsTagged Flying Saucers, MUFON, UFO News, UFO Photos, UFOs.